Live streaming is growing ever more popular, leading to a huge variety of streaming software tools on the market in 2019. Whether you’re a content creator who’s new to live streaming or you’re a business owner who live streams as a main source of revenue, you can rest assured there’s a solution out there suited for you. But what are the principal differences between the options, and how to decide which streaming software is best for you? We will try to help answer those questions. Each of these software options comes with basic live streaming and recording features. 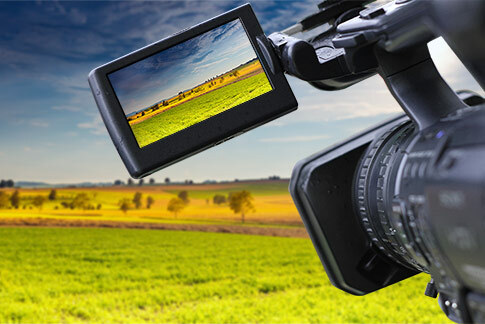 This includes single-destination RTMP streaming, multiple video sources and layouts, chroma key (i.e. green screen), live switching, and custom transitions. However, each software has its own advantages, disadvantages, and ideal use cases which are important to consider before making your selection. Open Broadcaster Software (more commonly known as OBS) Studio is a powerful open source project that is built by a community. Open source software like OBS Studio is free to use, making it a popular choice for price-conscious live streamers. OBS Studio offers all the live streaming essentials you need to create a great looking broadcast, but lacks the advanced features of professional paid software. Being an open source project, however, OBS Studio is a highly customizable. New features and plugins are being released by the developer community all the time. This means that if you are willing to tinker with it, there is an impressive amount of functionality you can get out of OBS. This however also means there is no centralized user support team to help you out if you’re having trouble. You need to be self-reliant and figure things out for yourself. This usually isn’t an issue for relatively tech-savvy users who are able to set-up and troubleshoot independently, but newer users might face difficulties. Lucky for beginners, there is a multitude of guides and tutorial videos on the web to help. 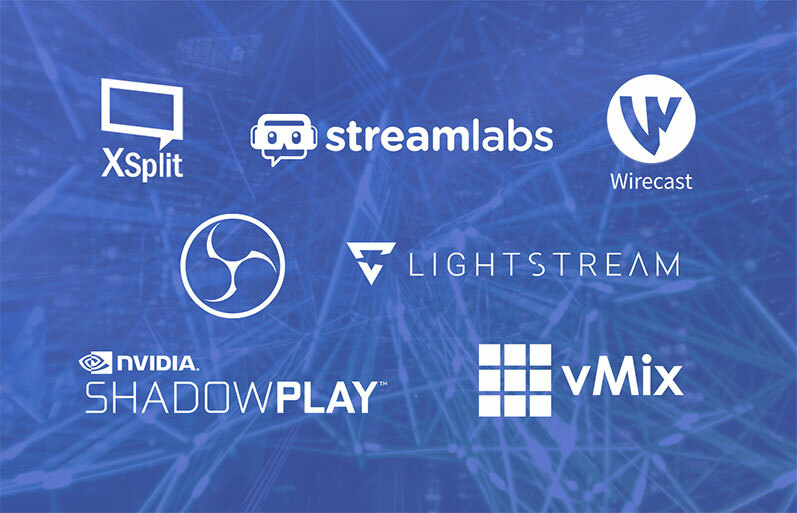 Until about a year ago, Streamlabs was just a streaming tool, mostly used by gamers with some other piece of streaming software. Because a good percentage of gamers used Streamlabs with OBS, it was only logical to combine the two to create one really powerful streaming software. Thus, in January 2018, Streamlabs OBS (or SLOBS) was born. Since then, it gained huge popularity among gamer and non-gamer streamers alike. Just like OBS, SLOBS is also open-source. Streamlabs OBS feels very similar to OBS Studio, but with a more slick and user-friendly design. Almost everything you need is conveniently grouped in the Streamlabs Dashboard. Many features, which could only be accessed via plugins in OBS Studio were made standard in SLOBS. This includes social widgets (donation and subs tracking, real time game alerts, chatbox, etc. ), thousands of free overlays, face masks, audio filters, a video editor, and other fun stuff. SLOBS also has better support than OBS Studio, featuring real time troubleshooter and realtime Discord support. SLOBS is primarily gamer-oriented, which makes it a great tool for the individual streamer who wants to make money live streaming. It offers smart, game-specific encoding, which results in lower overall CPU usage. Streamlabs OBS is still working on polishing their product. As of today, SLOBS is still in beta mode and is only available on Windows. Bottom line: The gaming community is raving about SLOBS. It is ideal for those who are familiar with OBS and Streamlabs. Streamlabs OBS offers all the necessary tools for going live on Twitch, YouTube and Facebook Live, growing your community of followers, and managing your revenue from live streaming. Browsing forums, we’ve noted that OBS and SLOBS seem to be fighting it out for the spot of best free streaming software, and it usually comes down to user preference. XSplit comes in two versions: XSplit Broadcaster and XSplit Gamecaster. Both versions have a clean, intuitive interface containing all the essential live streaming and recording capabilities. The Gamecaster version is slightly stripped down to contain only the essentials needed for game streaming. XSplit recently released their VCam tool, which allows the user to blur, replace, or remove their webcam background without using a green screen. In our opinion, a very cool feature. XSplit is a freemium service, with the free version being fairly well equipped for standard streaming. It does, however, have some limitations. This includes watermarks on streams above 720p resolution and/or 30 fps framerate, as well as on streams that use the VCam feature. The paid version lets you get rid of the watermarks and access more advanced features like multistreaming. Advanced users might take issue with XSplit’s limited number of recording formats (MP4 and FLV only), however more casual users likely won’t care. It’s also important to keep in mind that XSplit is available only on Windows, so Mac users will have to look another solution. Unlike OBS Studio, XSplit offers technical support and releases occasional software updates to ensure customers are equipped with the latest features. You can also easily add community-created plugins to enhance the live streaming experience (such as the ability to monitor YouTube comments). Price: Free with basic features. Premium offers a choice between a one-time $199 purchase or a monthly subscription starting from around $4 a month. Check out their pricing guide for more info. Bottom line: Affordable and easy to use, XSplit is an excellent basic live streaming software option for Windows users who prefer technical support, feature updates, and simple plugin customization. Basic encoding knowledge required. Geared towards game streaming. Telestream’s Wirecast comes in two versions, Studio and Pro, that are priced at a professional level. You get loads of features for the price. This includes hosting guests on your stream, animated 3D titles and graphics, unlimited capture and encoding of video sources, and the ability to stream to different servers and platforms simultaneously (a.k.a. multistream). The Pro version takes it a step further, with high-resolution ISO recording, live scoreboards, 3D virtual sets, instant replays, NDI output, even more guests hosted on your stream, and more. You can test out all the features with a free trial, although Telestream includes a Wirecast watermark on all streams and recording you do. Another plus is that Telestream is a large company, so there’s always new Wirecast features, updates, and improvements in development, along with comprehensive technical support. Premium support is available for an additional $299/year fee if you want to be completely covered. And while the Wirecast interface is well-designed, it may initially appear intimidating if you’re less familiar with advanced live streaming software. However, certain features are intuitive and easy to master right away, such as setting up multiple streams or using the preview pane to queue up a source before a switch. It’s important to note that Wirecast works on both Windows and Mac OS. We’ve also found Wirecast 11 in particular to be somewhat resource-intensive, which is something to consider if you plan on using your computer for more than just streaming. And despite the price point and features, 4K streaming is not officially supported (yet). You may want to consider vMix for 4K streaming. *Telestream has a 30% off sale on Wirecast software from January 28 to February 15, 2019.
vMix is a top-tier live streaming solution designed with the professional user in mind. It has all the features you’d ever need, such as virtual sets, animated overlays, hosting guests, live video effects, instant replay, and more. Additionally, vMix supports a wide range of inputs, including webcams, DVDs, sound cards, playlists, NDI, and PTZ cameras (with remote control). It’s worth mentioning that vMix is a sound choice for 4K encoding. The tiered pricing system provides additional features at each price level. The six offered packages are: Basic, Basic HD, SD, HD, 4K and Pro. This can be viewed as a more friendly system compared to Wirecast since you can choose to only pay for what you need. The Basic version features 1080p support and is priced at an affordable $60, but doesn’t offer anything extra compared to similar, cheaper solutions that also do 1080p. To get the most out of vMix, we recommend exploring the advanced packages, starting at $350 for professional HD streaming, $700 for 4K streaming, and $1,200 for the full package containing all the features. The vMix interface is designed to emulate what you’d see in a professional broadcast environment. But like Wirecast, the interface may be overwhelming at first for newer users. However, vMix offers comprehensive technical support and makes even the most advanced features relatively easy to learn. vMix offers a free, no-watermark trial for users looking to explore and test all the features before making a purchase. Note however, that vMix is for Windows only. Mac users looking for a full live production software solution at this level will need to look for another solution (such as Wirecast). There are, however, certain workarounds for this PC-MAC issue. Price: Tiered, feature-based pricing: $60 – $1200, free 60 day trial without watermark. Shadowplay is a tool that comes bundled with Nvidia GeForce graphics cards. It is intended mainly for gamers. A sort of mix between hardware and software, Shadowplay encodes using the GPU (graphics processing unit) rather than the CPU (central processing unit) used by most streaming software. This means the computer’s performance is almost unaffected, leaving all that CPU power for a great game experience. However, Shadowplay lacks many expected features for live streaming today: there are no overlays or scenes with multiple sources. Essentially, it can only stream the gameplay screen itself. While Shadowplay is a very fast encoder, gamers aren’t completely satisfied with the stream quality of Shadowplay as it tends to blur some of the finer game details. Sidenote: There is a way to harness Shadowplay’s GPU encoding and stream with all the expected bells and whistles. Shadowplay uses NVidia’s special NvEnc encoder, which is supported in many streaming and recording programs, including OBS. This means you can stream using OBS, and use choose the NvEnc encoder to offload the CPU. Shadowplay has been praised as a great local recorder. Using a keyboard shortcut, users can automatically record the last few minutes of gameplay. Price: Free (must have Nvidia graphics card). Bottom line: Shadowplay is able to give the CPU a real break, so if you have a slower computer or need all available computing power for other demanding applications (especially a video game) – Shadowplay might be the way to go. It is also good for straight-up gameplay recording. If you happen to have an NVidia graphics card – give Shadowplay a try. Lightstream Studio is positioned as a powerful and intuitive live streaming studio in your browser (they are “the Google Docs for live video production,” according to their website). Remember how everything is done in the cloud now? Well, that is exactly how Lightstream Studio works. Sources are captured from your computer, but all the compositing and encoding is done on Lightstream servers. This of course means much less CPU usage on your local machine. Lightstream Studio promises much less CPU usage than other streaming software with the same picture quality. For a free, cloud-based software, Lightstream has a lot of features including: slick overlays, guest hosting, native support of popular streaming tools (such as Streamlabs), remote scene switching from your phone or tablet, live chat support, and more. Another really cool feature is that all your projects, scenes, and assets are saved in the cloud, so you don’t have to rebuild them every time. Lightstream Studio selects the best encoding settings available on your computer automatically. This cloud software also monitors the stability of your Internet connection and automatically adjusts the bitrate to keep your stream from buffering. Bottom line: If you are live streaming on the go, don’t have a very powerful device, or need your computer’s CPU available for other things – consider using Lightstream Studio. Always remember to test your network upload bandwidth. No matter how good the software is, it won’t be able to help you if you have poor Internet connectivity. Perhaps your computer is capable of easily pushing out 20 Mbps, but your network upload speed is only 10 Mbps. Your viewers are likely to experience dropped frames and buffering. A good rule to remember is that your upload bandwidth should be at least 1.5x greater than the bitrate. Finding the perfect bitrate by balancing streaming resolution and frame rate comes with practice. There are many choices out there, and it can seem intimidating. Here are a few general tips to keep in mind when selecting streaming software. How reliant are you on tech support? Do you feel comfortable tinkering around in the software, configuring things on your own, and looking for answers online? If so, consider OBS. How knowledgeable are you about streaming? Which features do you really need? Are you planning to stream to multiple destinations, invite guests into your stream, add overlays? Are you going live in 720p or 4K? Pay close attention to the software feature set and only pay for what you use. Streaming video games? Look at XSplit and Streamlabs OBS. Just getting started? Play with OBS and online tutorials. Planning professional live productions of news, sports events, concerts, etc? Consider Wirecast and vMix. Streaming on the go a lot? Consider Lightstream Studio. How powerful is your existing hardware? If the answer is “not very” – consider investing in streaming hardware. So to answer the original question – which is the best streaming software in 2019? The answer depends on your needs as a live streamer. Many factors play a role in deciding which streaming software to use (see general advice above). What’s ideal for one person, might not be ideal for another. We recommend reviewing each live streaming software in detail and making a decision on the solution that’s right for you. Take advantage of the free trial versions to figure out what each software is all about. 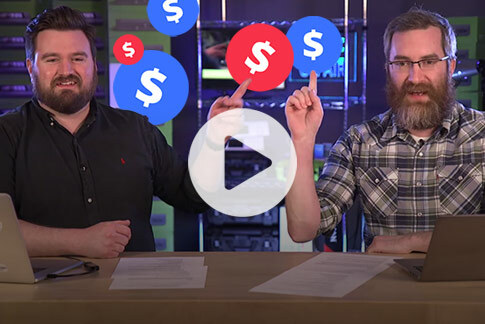 To learn more about the best streaming software in 2019, check out our Live @ Epiphan episode below where hosts George and Dan cover the topic in more detail.